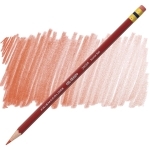 The erasable colored pencil. Turn it around to erase a single color or an entire color scheme. 24 popular colors. 12 and 24 color sets. ® Prismacolor is a registered trademark of Sanford Corporation.® Col-Erase is a registered trademark.